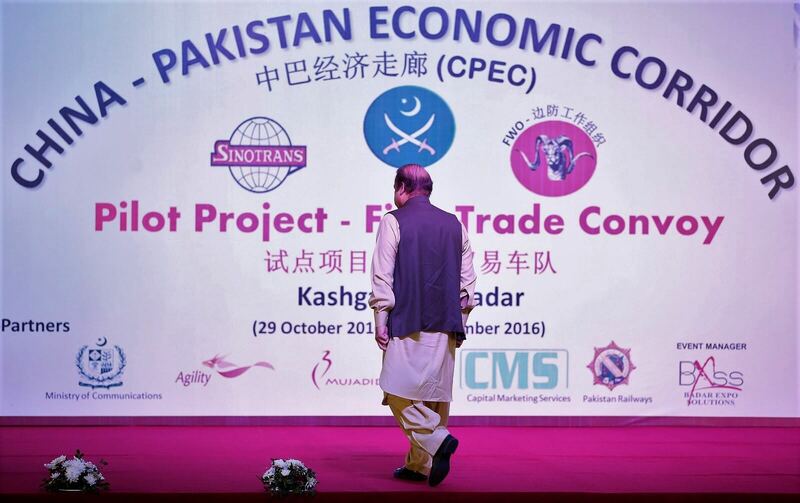 Will Pakistan’s CPEC dream turn into a nightmare? Chinese infrastructure investment in Pakistan diverts attention from much-needed reform of the country’s unresponsive economy. China’s huge infrastructure investments as part of its Belt and Road Initiative (BRI) have the potential to change the strategic dynamics of the entire region. The BRI’s “flagship” project is the US$62 billion China–Pakistan Economic Corridor (CPEC) that is planned to run from one end of Pakistan to the other. This has led to overinflated expectations that seem unlikely to be met. The CPEC is considered a game changer by the Pakistani elite, who expect it to supercharge the country’s sclerotic economy and transform it into a regional economic hub. China is widely considered to be a benign and reliable partner, in great contrast to the “unreliable” US, and there is much talk of win-win cooperation and of China’s purely economic strategy. Indeed, for many in Pakistan, the CPEC has come to resemble a cargo cult: a belief that buckets of Chinese cash will magically descend from the heavens, bringing salvation to Pakistan without the need for painful economic reforms. The CPEC certainly involves some large amounts. It would involve energy and infrastructure projects valued at some $62 billion spanning the length of Pakistan. The jewel in the CPEC crown is Gwadar, a new port city being built in the Balochistan desert, which is being touted as a new Dubai. This will be the southern terminus of the economic corridor running from Xinjiang to the Indian Ocean. Dreams of transforming Gwadar from a dusty fishing village into a major city seem to have no bounds. The sheer scale of the project is indicated by the announcement by one Chinese company of extraordinary plans to build housing for some 500,000 Chinese workers in Gwadar by 2022. Despite Pakistan’s apparent unbridled enthusiasm for China’s plans, there are some portents. The International Monetary Fund has given several warnings about Pakistan’s ability to sustain projected debt loads. According to some reports, Islamabad is about to approach the IMF for a new $3 billion bailout package to help repay existing loans. Sri Lanka’s recent experience is sobering. It borrowed large sums for BRI projects, such as Hambantota port, that could not be repaid. Debt servicing, including Chinese and other debt, now consumes some 95% of Sri Lankan government revenues, meaning that its economic and political options are now severely constrained. Indeed, Islamabad has rejected some financially unfeasible CPEC projects. In November 2017, Pakistan pulled out of a proposed $14 billion Diamer-Bhasha dam project, citing economic viability. Pakistani analysts also believe that the country can mitigate risk by attracting non-Chinese investors into key projects. This would make a lot of sense. In theory, collaborations with non-Chinese investors might limit China’s overwhelming economic and political leverage and mitigate security concerns in sensitive projects. But dreams of multilateralising the CPEC come up against some hard realities. Many foreign investors are extremely nervous of the security, political, and legal environment in Pakistan over which they (unlike Chinese companies) will have little control. Investors may also struggle with the economic viability of some projects. Japan, for example, has put together a pot of some $200 billion to spend on regional infrastructure projects. However, Japanese investment also requires principles such as transparency and economic sustainability. Those requirements will simply not be present in many projects, particularly in Gwadar. Concerns about the CPEC are especially focused on Gwadar, where Pakistan has come under significant international scrutiny for handing over the port to China. It has long been speculated that there are plans to build a Chinese naval base in Gwadar. In May 2011, in the wake of the US raid against Osama bin Laden, the Pakistan Defence Minister Ahmad Mukhtar publicly announced that China would build a naval base in Gwadar (which Beijing promptly denied). This announcement was not only driven by anger about the raid but also Pakistan’s long-term strategic interest in building a Chinese naval presence on Pakistan’s coast to deter the Indian Navy. For Pakistan, these strategic imperatives remain, but Islamabad may now want to keep Gwadar port as a purely commercial operation in the hope of attracting non-Chinese investment. According to a recent Washington Times report (confirmed by others), Pakistan has proposed that China should build a new naval and air base at the village of Jiwani, some 60 kilometres west of Gwadar. This may all just be the back and forth of negotiations, but China may baulk at building a second port at Jiwani when it is spending vast sums at Gwadar, just down the road. The belief held by many in Pakistan that the CPEC will “save” the country is dangerous for several reasons. First, while infrastructure is an essential enabler, it will not guarantee Pakistan’s economic future, especially when it diverts attention from serious reform of Pakistan’s unresponsive economy that is essential for sustained growth. Second, expectations have become so inflated that the CPEC is unlikely to deliver as hoped. Optimistic growth forecasts are already being revised downwards. What are the consequences for Pakistan’s polity when expectations are not met? The Pakistan national election scheduled for 25 July will not resolve these questions. But former cricketer Imran Khan, who is increasingly being seen as the frontrunner in the election, has signalled a big focus on corruption, which probably means fewer cosy deals for China. He will also likely seek more non-Chinese participation. What this means for Pakistan’s CPEC dream is not yet clear. US threats are not seen as credible and are unlikely to work on Pakistan in the future. This week's links also cover a corruption arrest in the Solomon Islands and Fiji's custom involving sperm whale teeth in the New York Times. China has framed 5G as a technological arms race.